4k00:20Ants (Formica subsericea) tend Black Locust Treehopper (Vanduzea arquata) nymphs on a Black Locust tree. The ants provide protection in exchange for sugary honeydew, as seen with the ant on the left. 4k00:20Ants (Formica subsericea) tend Black Locust Treehopper (Vanduzea arquata) nymphs on a Black Locust (Robinia pseudoacacia) tree. 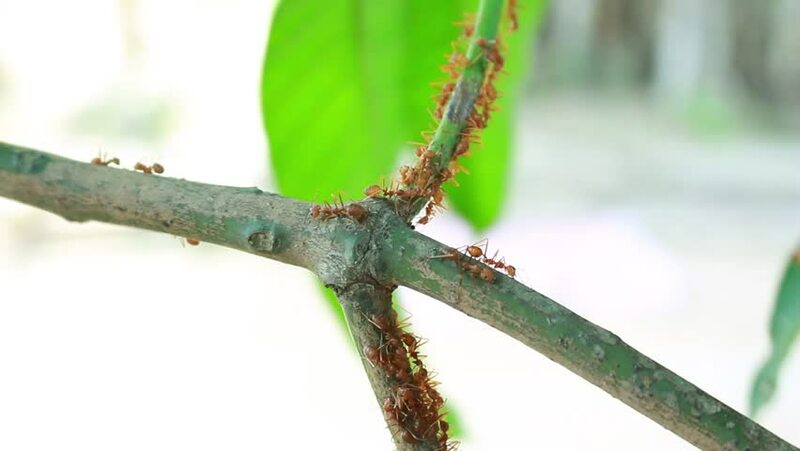 The ants provide protection to the treehoppers in exchange for honeydew. hd00:15A male Chalk-fronted Corporal (Libellula julia) dragonfly perches on a small branch in spring. hd00:20Large yellow black spider sits on web. Macro.